2017 marks the final year for Hyundai’s flagship sedan. American consumers continue to shift their new car purchase decisions to crossovers and that move has taken a toll. The Hyundai Azera will soon be no more, putting an end to this flagship sedan’s all-too-brief reign. Auto Trends confirmed the news with Brandon Ramirez — Senior Group Manager, Product Planning at Hyundai Motor America — at a media event last week in Durham, NC. The Azera came on the scene in 2006, replacing the previous XG300 and XG350 as Hyundai’s flagship sedan. That reign ended in 2009 when the Genesis sedan arrived and slotted above the Azera, itself usurped in 2011 when the Equus was introduced. Both the Genesis and Equus were recast as Genesis brand models in 2017, returning the Azera to its flagship status. But only temporarily it seems. Indeed, the market has been none too kind to the Azera as well as to other full-size models. Some sedans, such as the Toyota Avalon, have fared better, while the Chevrolet Impala, Ford Taurus, and Buick LaCrosse have also struggled. With deep double-digit year-over-year declines for the competing products, we may see others drop out of the market too. At least traditional rear-wheel drive models such as the Dodge Charger and Chrysler 300 continue to find success in a dwindling market. The Azera’s appeal was strictly for consumers wanting a large sedan with a powerful engine to go with it. Hyundai complied by serving the 2006 Azera with a 3.8-liter V6 engine with 263 horsepower. In 2007, the Azera gained a smaller V6, a 3.3-liter for its all-new GLS trim. 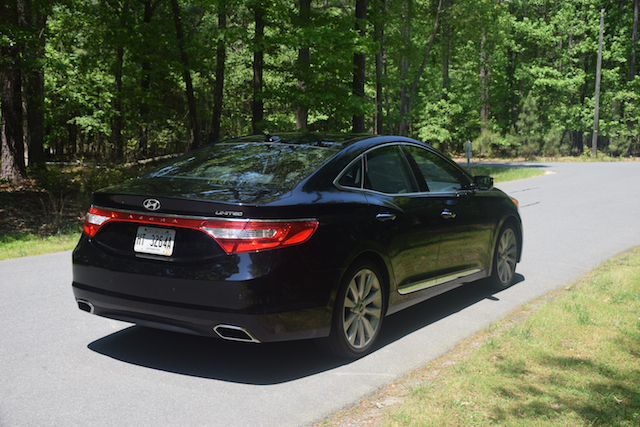 Hyundai has always positioned the Azera as a premium sedan, although its dimensions were only a few inches larger than the midsize and far more popular Sonata. Besides V6 power, customers could count on standard leather seats, heated front seats, a rear power sunshade, and an advanced audio system. In 2009, a refreshed Azera debuted with a revised front end and new 17-inch wheels. The look was even more elegant than before and provided the right segue from the Sonata to the upcoming Genesis sedan. Additional changes in 2011 brought in revised engines with dual continuously variable timing and a notable boost in power. 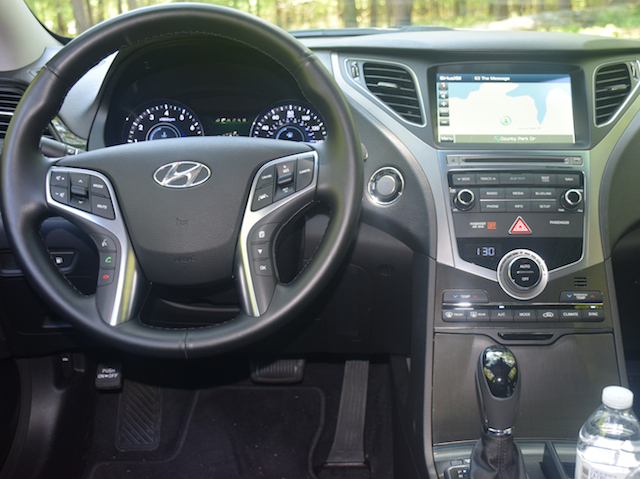 Hyundai also swapped out the five-speed automatic for a six speed, improving fuel economy in the process. An all-new Azera was introduced in 2012, featuring an even more elegant appearance. An upgraded interior, expanded safety features, and the Hyundai BlueLink telematics system were among the many improvements. Hyundai dropped the larger V6 and introduced an all-new 3.3-liter V6 engine with 293 horsepower. It immediately became the most power dense V6 in its class. Hyundai continued to update the Azera even as sales never reached anywhere near the company’s goals. Those changes included the latest in telematics and safety equipment and a new, lower price. Yet, outside of its more popular midsize and compact models, the Azera never made the impact expected. At the same time, Hyundai continued to enjoy strong demand for its two midsize crossovers — the five-passenger Santa Fe Sport and the seven-passenger Santa Fe. Now minus its three largest sedans as well as its Genesis Coupe, the Hyundai brand is pulling back temporarily, but not for long. The Santa Fe will effectively serve as the brand’s flagship, offering the only V6 engine as well. Hyundai is also upping its green credentials, by rolling out a full line of Ioniq electrified models. A hybrid arrived in dealer showrooms in February and will be followed by a battery electric model in April. Hyundai will round out the Ioniq line when a 2018 Plug-In arrives in the fourth quarter. A Hyundai pickup truck is in the works and another SUV is planned. 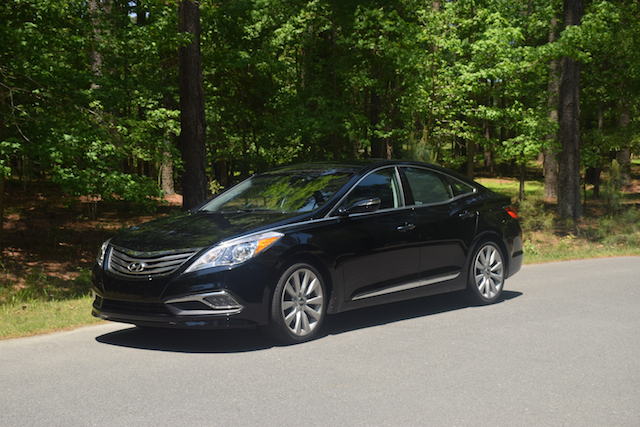 Yes, the Hyundai Azera will soon be gone, but that loss should be made up by customers who might move over to a crossover or give serious consideration to the Sonata.